The virtual pet scene hasn’t been that big as of late. You’re able to find a plethora of games in this genre for your smartphone, but most lack the finesse to really hold your attention. 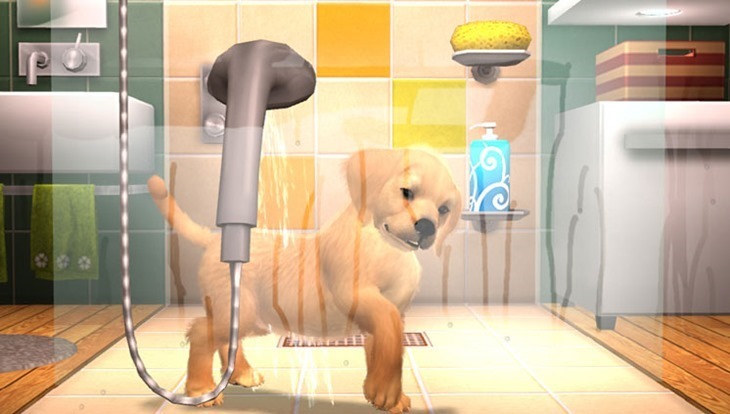 PlayStation Vita Pets attempts to do what games such as Nintendogs on the Nintendo handheld systems has done for the genre by harnessing the power and unique capabilities of the Vita to provide gamers of all ages with a much meatier pet simulator. 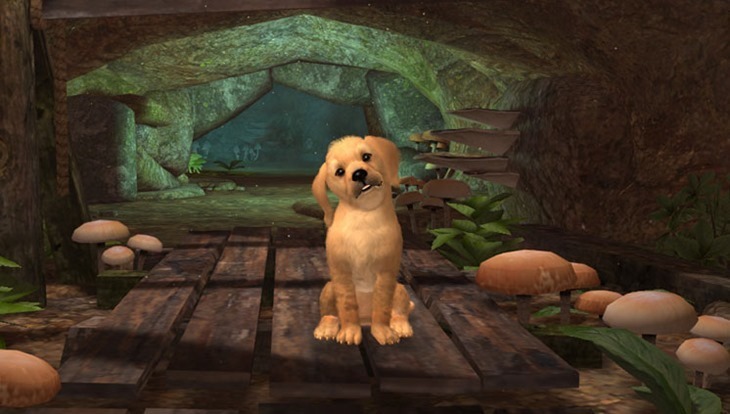 Vita Pets starts off by presenting you with four breeds of dogs (evidently you can only choose from a selection of dogs, which contradicts the title of this game somewhat) to choose from. Each dog oozes character and personality and you’ll instantly connect with these adorable creatures, that is until they start speaking. Yes, these anthropomorphic animals will constantly be talking to you throughout the game, telling you what they need or want to do, and expressing how much they’ve missed you while you were away or just spouting something random. While I was taken aback by this at first, it did end up growing on me, for about the first half hour of the game. The main issue here is your pets end up repeating the same phrases continuously every 30 seconds or so and at some point I just turned the voices off, which is a shame – as the voice acting is pretty good. Once you’ve chosen your pet, you’re whisked away to your home where the majority of the activities take place. Here you’ll interact with your pet and partake in a number of fun little games and there’s even a closet where you can dress your pet up in all manners of weird and wonderful apparel. One of the more interesting rooms is the gateway into our world. Using the augmented reality features of your Vita you can make it seem as if your pet is really there with you. It’s an interesting distraction, though it’s nothing more than a gimmick. Partaking in activities with your pet, such as playing catch or a game of tugging not only earns you points that can be used to purchase items from the store but continuous interaction levels up your pet’s skills in that particular area. For example, playing tug often with your pet levels up his tugging abilities, this is used when your pet needs to pull something. These skills come into play during the game’s biggest hook, its adventure mode. Vita Pets has a lengthy campaign which makes this game stand out from the rest. 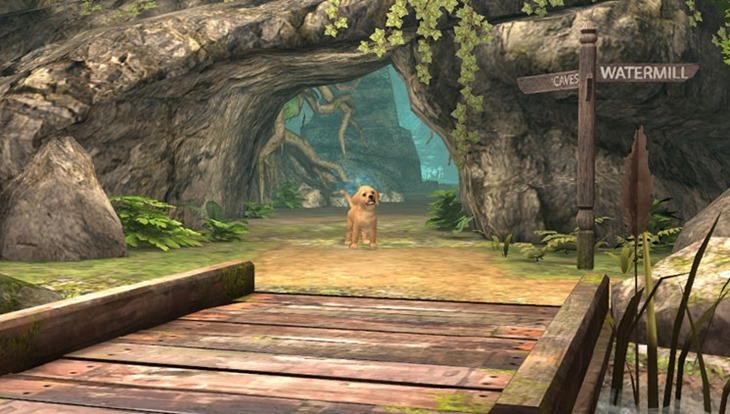 You’ll be able to explore quite a large forest in search of treasures left behind by an ancient king and his dog. The story is by no means ground-breaking, but it is serviceable and has a youthful charm to it. Along your journey you’ll be sniffing out trinkets from the ground and solving a number of puzzles. It’s an impressive feat considering this is a pet simulation game, and I applaud the developer’s efforts. Unfortunately those efforts are undermined by some serious pacing issues. Exploration of the forest is an on-rails affair. You keep your finger on the screen and you will gradually progress forward. This forward movement, however, is extremely slow and feels really cumbersome. I understand you’re able to better take in the environment and appreciate the finer details but the speed with which you progress is just a little bit faster than a tortoise. It really makes exploration feels like more of a chore than anything else. This is not to say that there aren’t any enjoyable moments within this campaign as there were times where I actually found myself engrossed in the current situation, but some sections are only available once your pet’s skills are at a certain level, so you’re forced to grind if you want to continue, adding to the tedium. It’s a shame really as the idea itself is solid but execution is deeply flawed. PlayStation Vita Pets is a game that has many good ideas and had the potential to be a stellar pet simulator. It has pretty good visuals and animations and the soundtrack is catchy and suits the game well but the incredibly slow pace and overbearing voice acting hurts it in the end. PlayStation Vita Pets does an admirable job of trying something new, but unfortunately the slow pace of the adventure mode acts as a counteragent to its good ideas.